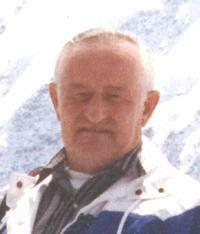 ANDY NIKLES died peacefully at home amongst his loving wife and family on Tuesday, September 4, 2012 at the age of 86. Andy Nikles was born to Gisella and Andreas Nikles in Austria and immigrated to Canada in 1939, settling in the Edmonton area. While working on an irrigation canal and boarding at a local farm, Andy met his lovely bride to be, Murielle (Landry) Nikles. Their year long courtship became a 60 year marriage, beginning in 1952. After working in construction camps in a small trailer with three children, Andy decided to make a life as a farmer. In 1958, Andy and Murielle settled in the Lomond/Enchant area and farmed for the next 30 years while raising six children. Andy was known for his vast and merciful love of animals, his passion for justice and equality and for his humorous stories of youth. While we sadly miss our father, brother, grandfather, uncle, friend and most of all, husband, we can take comfort that even though his form dissolves, his wisdom remains. Our friendship and warm memories we each shared with Andy shall bring peace and healing silence to his death. Andy is survived by his wife of 60 years, Murielle (Landry) Nikles; his sister, Bertha (Roy) Gilmar; his six children: Rita (Terry) Patterson, Elaine (Brian) Robinson, Maureen (Dan) Campbell, Keith Nikles, Mary Lynn Nikles and Greg (Roxanne) Nikles; and numerous grandchildren and great grandchildren. In lieu of flowers, memorial donations to the Humane Society of Lethbridge, 2920-16 Avenue North, Lethbridge, AB T1H 5E9, are welcome. Love is a tree with branches reaching into eternity. Feel our arms as we remember and honor you.